However, over and over they are faced with the same quandary…having an evil boss to serve. Throughout time, the minions lose boss after boss. Finally, they are driven into isolation. In their cave of solitude, they build a civilization, but they loose their sense of purpose. Without a reason or driving force, the minions are bored to nearly to death. It’s the age-old challenge, what is life without drive? Thus Kevin, Stuart, and Bob set out to find the big boss. 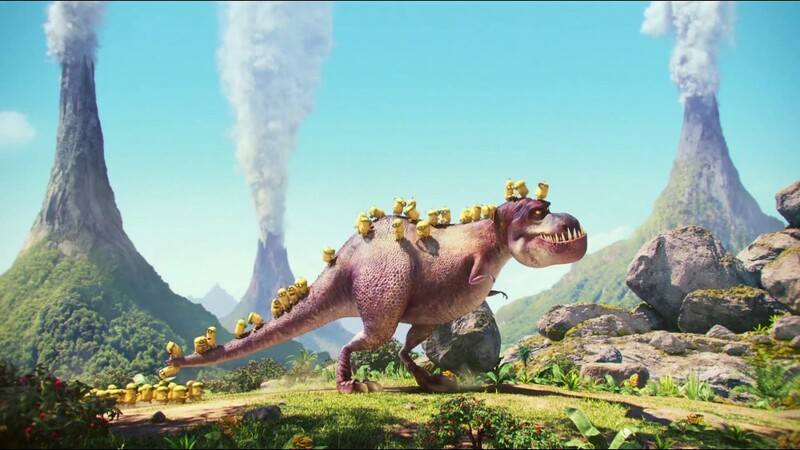 Minions 3D (and yes, this film is worth the extra $$) is a wild ride through time and the pursuit of finding a boss. It was a breath of fresh air to see a 3D film with things and beings flying overhead and lunging out at the audience. I enjoyed the various camera angles and creative villains. I can confirm that Scarlett Overkill (Sandra Bullock) certainly lives up to her name. I’m not sure what they did to Bullock’s voice over (perhaps increased bass), but she sounded different yet psychotic and sinister. Coupled with her chic, mad scientist husband, Herb Overkill (Jon Hamm). These two gel in the most diabolical way. Kids and adults will enjoy every second of Minions. Everyone can identify with the need for purpose. There are barrels of laughs and even a few prestigious bit roles/cameos. Kyle Balda and Pierre Coffin were quite brilliant in their presentation of Brian Lynch’s journey. After viewing Minions, I was still super-charged two hours later. FYI, no worries if by some miracle you have not seen Despicable Me or Despicable Me 2, Minions stands on its own two feet and is a prequel. The soundtrack is marvelous, highlighting some of the best tunes from the 60s (“Happy Together” by The Turtles, “Break On Through” by The Doors, even some musical renditions of classics like “Make Em Laugh” by the Kevin, Stuart, and Bob and “Auld Lang Syne” by Bob himself, etc.) 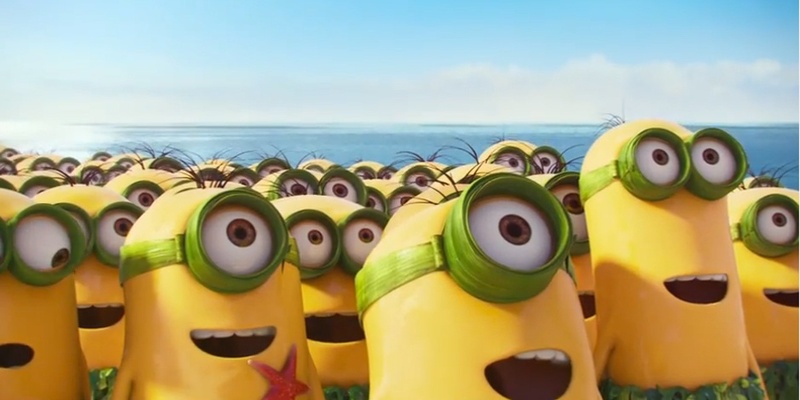 Adorably cute and hilariously clever is a tip of the iceberg way to describe Minions. Excellent time to be had by all. This entry was posted on Friday, July 10th, 2015 at 7:32 am	and is filed under Film, News. You can follow any responses to this entry through the RSS 2.0 feed. You can skip to the end and leave a response. Pinging is currently not allowed. Hoping to see this one over the weekend! Thanks Janet! I have heard some mixed reviews on this one…am glad to see that you liked it. « The Trailer For ‘Goosebumps’ Looks Fantastic!! !